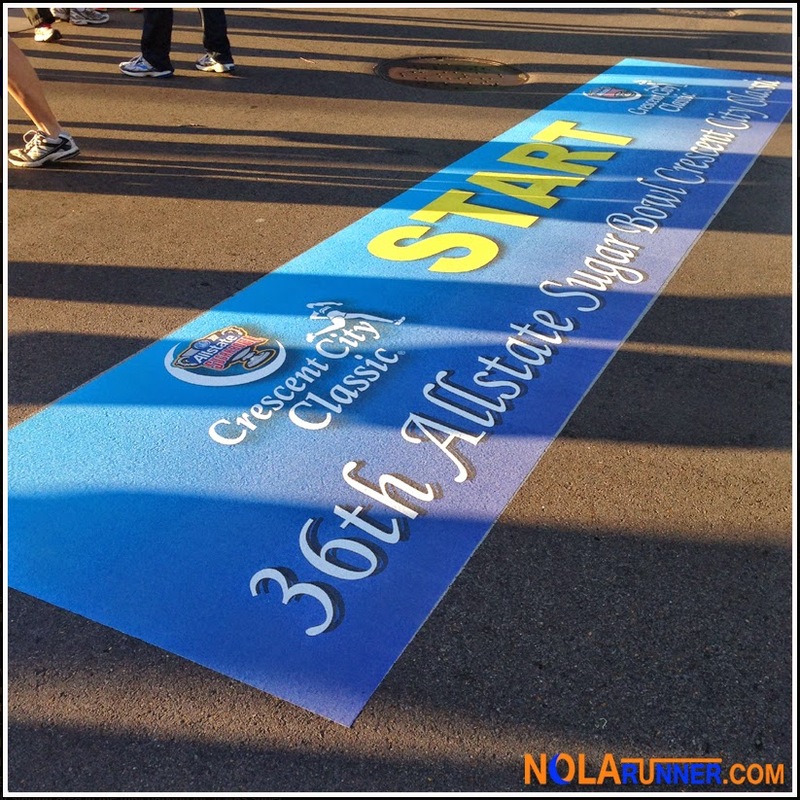 New Orleanians couldn’t have asked for better conditions during the 36th Allstate Sugar Bowl Crescent City Classic 10K. On Saturday morning, nearly 25,000 runners made the annual pilgrimage from the Mercedes-Benz Superdome to City Park under clear blue skies and temperatures that stayed in the low 60’s. 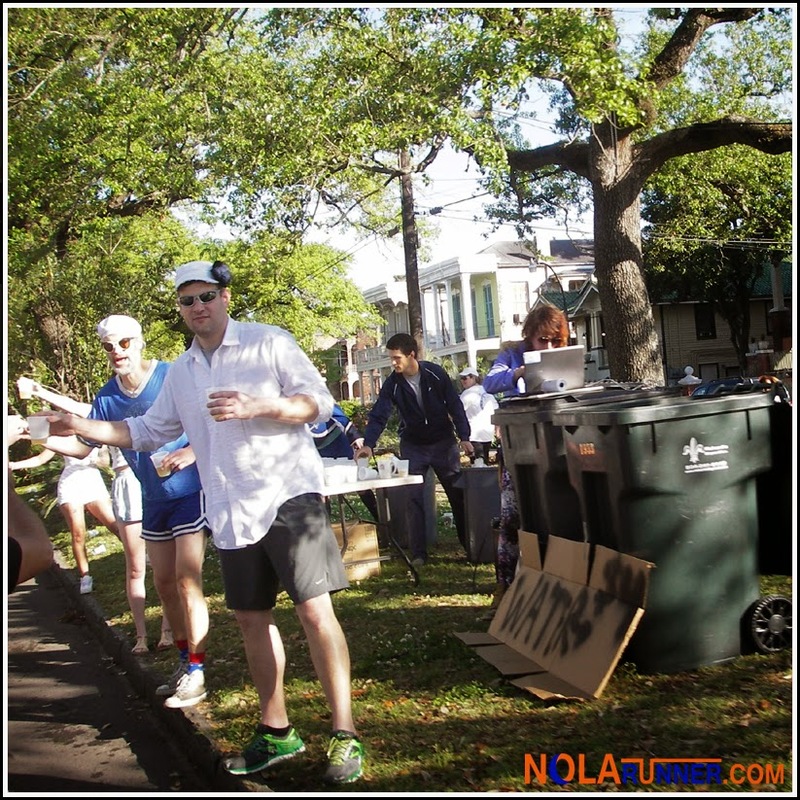 The beautiful spring day in the Big Easy set the scene for fast race times and lots of fun at the post race party. Typically I like to crank out a race recap the Monday after an event, but this one took some time. There's so much I want to say, since I enjoyed the run and the environment so much. Be sure to comment at the end of this post with your race experiences and feedback! People in New Orleans know how to throw a party, and when it comes to the organizers of the Allstate Sugar Bowl Crescent City Classic, they start their party 2 days early at the Health and Fitness expo in the Hyatt Hotel. This year’s packet pickup was as organized as possible, and I was able to pick up my seeded runner bib in less than 2 minutes. That gave me plenty of time to check out rows of vendors who were hawking running supplies and showing off their upcoming race plans. After sprinting through the expo, I headed out to the streetcar tracks of St. Charles Avenue for one last shakeout run before race day. My history with weather and preparation for the Classic is tricky. I’m never properly trained when race day weather turns out to be good, and the heat always gets to me when I have enough preparatory miles under my feet. This year, I arrived at the Superdome start line to enjoy sunny skies and 59 degree temperatures. Race participants arrived early to proceed through security checkpoints, and the flow of people in Champions’ Square to strategically place corrals along Poydras Street appeared to move smoothly. After securing my camera to my wrist and snapping a few pre-race photos, I lined up in the back of the last seeded corral. Knowing I had a good number of recent races on my resume gave me enough confidence to get geared up for the run, but not wanting to take off too fast kept me far enough back to not get in anyone’s way. The 8:00 a.m start couldn’t have been smoother for me as I kicked off the race between the gray and green corrals. 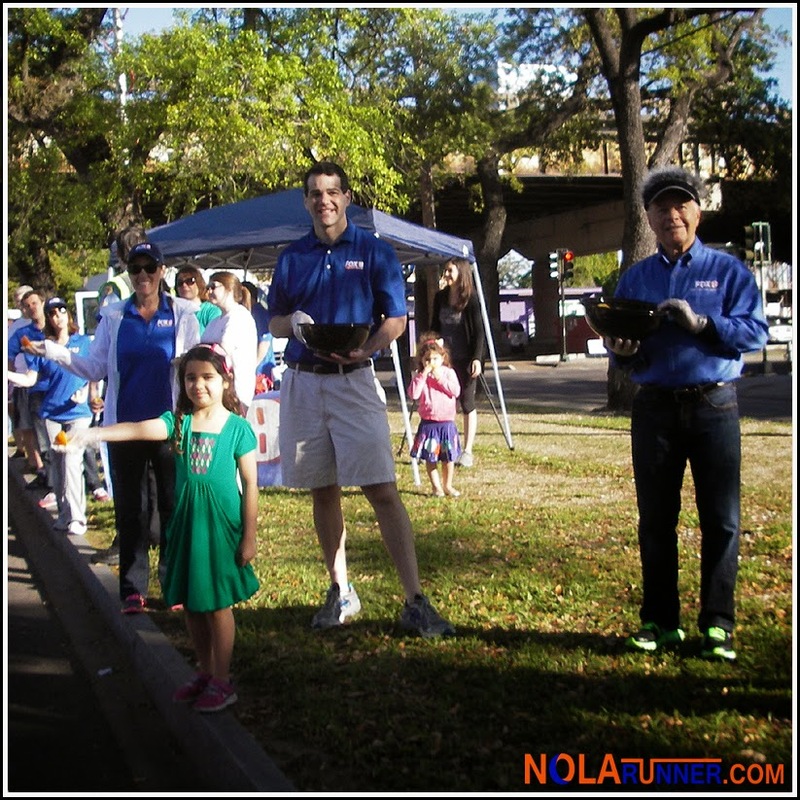 Poydras was wide open to runners, the weather was perfect, and maneuvering the street was effortless. After turning on to S. Peters, the New Orleans terrain that I’m used to kicked in. The worn streets of the French Quarter show their age, and are as rough as some of the patrons leaving the bar from the night before. However, running through the historic buildings of the Vieux Carré distracted me from the potholes and cracked surface, as I always like to look up at the wrought iron balconies, tourists getting their beignets, and French Market vendors cheering on competitors. My serene state was briefly interrupted as a couple pushing a stroller pushed passed me as I cruised by Jackson Square. Clearly they hadn’t heeded the instructions for all wheeled participants to start in the last corral, and had jumped on the route somewhere after the start. Nevertheless, nothing was about to ruin my run on this exquisite morning. Turning on to Esplanade Avenue felt like I was turning in to the home stretch. Even though there was 4 miles left in the race, spectators lined the route on both sides and cheered loudly. This stretch also hosts the most interesting characters who come out to participate from the sidelines. The “marching band” doling out Dixie cups of beer was in its usual spot, the fully stocked rolling bar was open for business, and the Easter Bunny made his annual appearance. A new addition this year was the local FOX affiliate hosting a “Hydration Station” nearly 3 miles in to the race. Recognizable local news personalities were on-hand to help runners refuel, and seeing meteorologist Bob Breck next to anchors Lee Zurik and Kim Holden was a great way for FOX 8 to back up their media partnership with the race. Also an added surprise to my trip down Esplanade Avenue was the smooth as glass resurfacing treatment it has received. The once pothole riddled street is now one of the flattest I’ve run in this city, and that’s only fitting since the two most recognizable races in New Orleans use it as a major stretch in their course. The final miles around and through City Park are the most scenic of the route. The oak trees, great lawn, Story Land, and NOMA are landmarks that help make the kilometers seem to fly by. The mile 5 water station was manned by Pierre the Pelican and Gumbo from the Saints, where the home-team pride of many local runners caused them to stop for pictures. The finish approached faster than I expected, mainly because of how great I was feeling and how perfect the morning shaped up to be. After finally finding the distribution of finisher medals, I charged to the post-race festival to grab some Blue Runner Jambalaya and Subway sandwiches. A few Michelob Ultras were also in order as I found friends at the New Orleans Track Club tent (conveniently situated next to the tap). I had a post-race birthday brunch to get to back downtown, so I had to board the earliest possible shuttle bus to get back to my car. I wish I had the opportunity to stick around for some of the live music and awards that were part of the remainder of the day. The finish line. That’s my ONLY concern after this year’s race. Moments after crossing the finish, I hit a wall of participants and spectators clogging the street and blocking my progress. I had trouble finding water, Gatorade was nowhere in sight, and I had no idea where finishers were receiving their medals. It won’t take much to fix the issue, just some strategically placed barricades along the entire stretch of Roosevelt Mall and aggressive volunteers who instruct race participants to keep moving would do the trick. After all the attention that has been paid by race organizers to get the starting area to be fully functional, I’m sure the finish is the next challenge they are ready to tackle. Before the sun rose Saturday morning and participants started to gather outside the Superdome, numerous local charities were already winners. Thanks to the fundraising efforts of Allstate Sugar Bowl Crescent City Classic 10K participants and the race’s “Run For It!” program, over $320,000 was raised to fund non-profits throughout the region. This total is something that race organizers hope to grow in the coming years, eventually reaching the $1 million mark by 2016. As for my race experience, I couldn’t have asked for one any better. While I may not have postered, I concluded the day by adding some art to my office wall anyway. I stalked down one of the race’s no-parking signs Saturday evening and claimed it as my own. It’s a great memento from a really fun day. 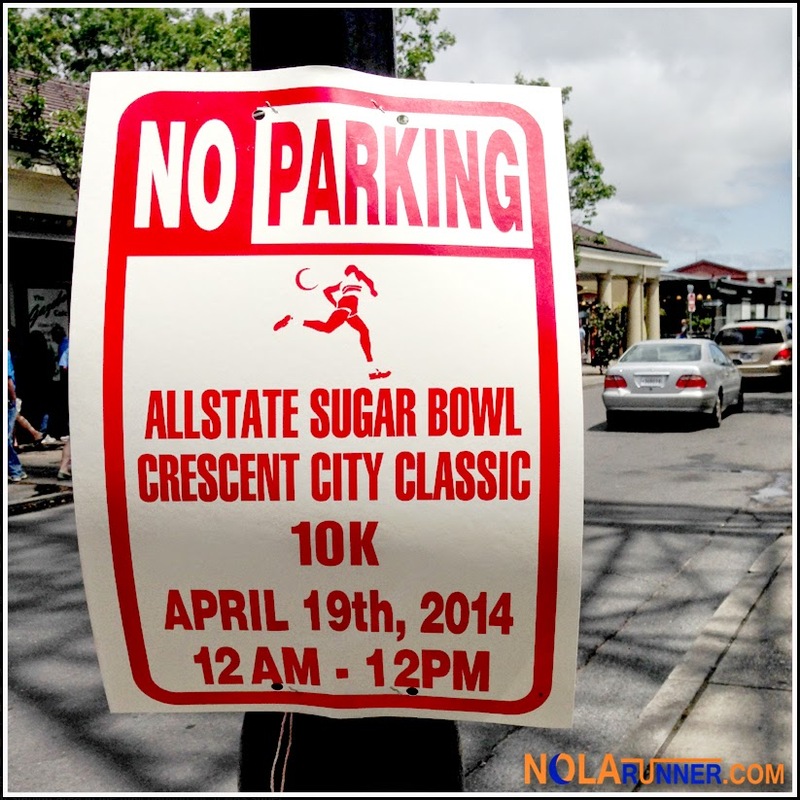 For complete race results from the 2014 Allstate Sugar Bowl Crescent City Classic, click HERE. 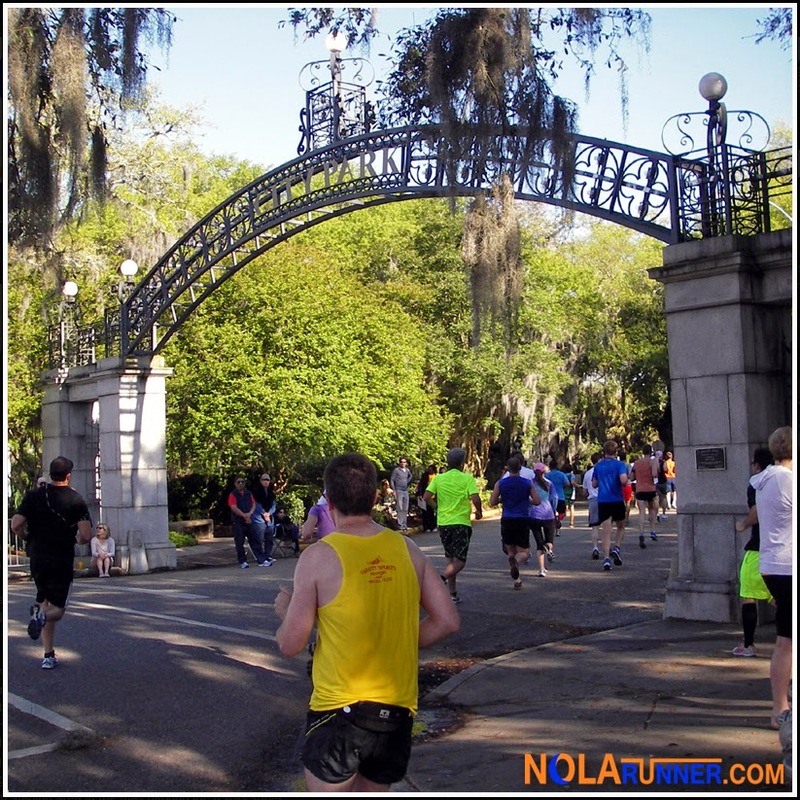 To check out many more photos from the CCC10K weekend, LIKE the NOLArunner Facebook page HERE. It was truly a great day. And you neglected to mention the fine folks of NOTC at the mile 4 hydration station along with the Big Easy Roller Derby Girls...And Cesar Torres of Q50. I felt like I was getting pretty wordy with this post, but you can trust me when I say that your water station prowess was appreciated!